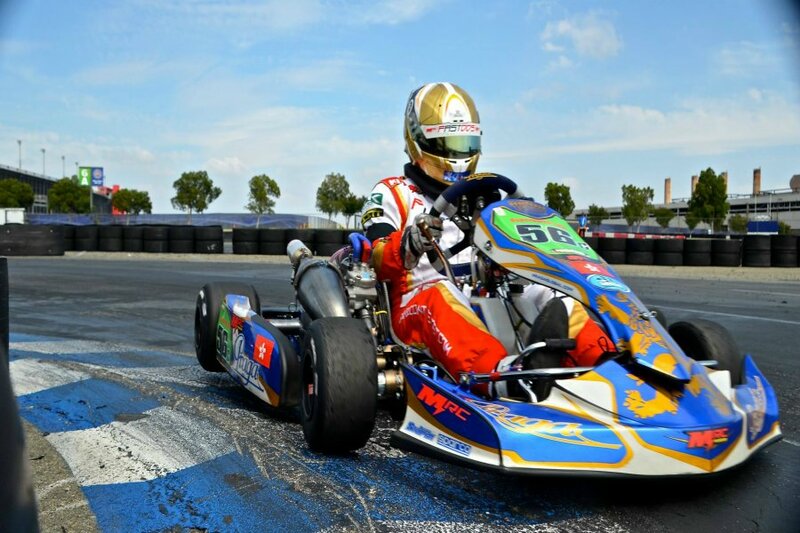 The 2015 Los Angeles Karting Championship completed its third round of racing on May 17 at the CalSpeed Karting Center in Fontana, California. Over 170 entries contested the picture-perfect day of racing, as drivers took on the Grande course for qualifying, Prefinal and Final in all 17 categories as the chase to the over $30,000 prize package this season continues. The Adams Motorsports Park TaG Senior class reached its highest driver total of the season with 23 taking part in Round Three action. Two-time winner and championship leader Aaron Aguire opened up the day with fast time in qualifying, besting the times set by veteran Matt Johnson and Carlee Taylor. Contact on lap two of the Prefinal involving Aguire and Justice Lepe put both on the sidelines, allowing Johnson and Taylor to take the top two positions. They were joined at the start of the Final by Bobby Kelley, who led two laps but eventually fell back to finish fourth. Johnson led into the final laps, when Taylor took over the position. She held on to score the victory by a half second over Johnson. David Vasquez advanced to third ahead of Kelley with Jordan Robertson in fifth. Mack Motorsports PRD 2 division also increased in numbers, welcoming 21 drivers. The result was different as well, welcoming the third different winner in as many races. Jake Drew swept the day, leading from qualifying to the final checkered flag. Drew was two tenths quicker than anyone in the official timed session, and led all eight laps of the Prefinal for a six-second win. The 14-lap was a wire-to-wire victory, pulling out to a four-second advantage over Round Two Jordan Turner. Jonathan Shone was third with Hannah Grisham and Victor Barbosa completing the top-five. 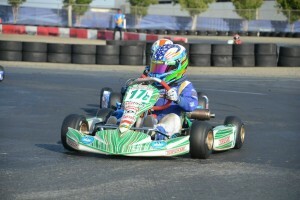 Colin Queen extended his win streak to two in the Fleming Racing Engines Jr. 1 Comer category. The championship leader beat out Oliver Calvo and Dakota Tate in qualifying and then led seven of the eight laps in the Prefinal to cross first, but was moved down to seventh for an on-track penalty. That gave Round One winner Joseph Daniele the pole position for the Final with Bryce Stevens alongside him. Queen showed to have the quickest kart all day, and proved it in the feature race with a drive back to the front. By lap four, Queen took back the top spot, and led the remainder of the race for the victory. Daniele won the battle for second over Aden Dodge while Kasey Gillis and George Diakoumopoulos rounded out the top-five. 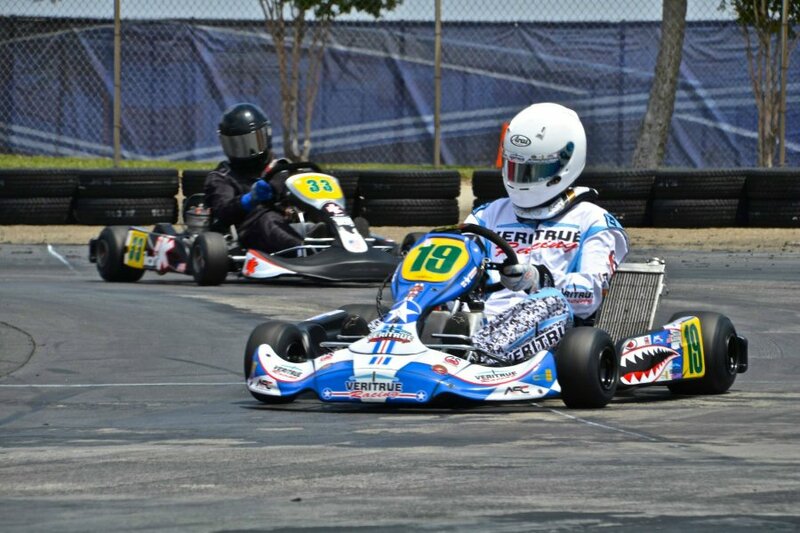 Chance Gibson made it three straight in the Empire Karts Jr. 1 Comer Pilot division, finishing third overall in the combined race group. Cooper Hicks was second in class with Aiden Kempf third. 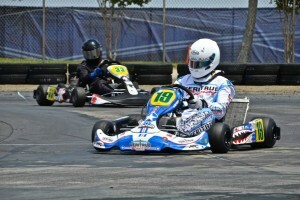 The DR Kart TaG Cadet class began with Ryan Schartau at the top of the order after qualifying. The Round One winner was able to clock in ahead of Anthony Willis and Round Two winner Joseph Daniele in qualifying. Schartau led early but Daniele claimed the top spot and the win in the Prefinal with Willis right there. Daniele was there at the drop of the green for the Final, but fell off the pace and eventually retired early. That left Schartau and Willis to fight for the top spot. They went back and forth a number of times over the nine-lap feature with Schartau reaching the checkered flag first by seven hundredths over Willis. Oliver Calvo was third with Devin Comez and Daniel Inzunza completing the fast five. 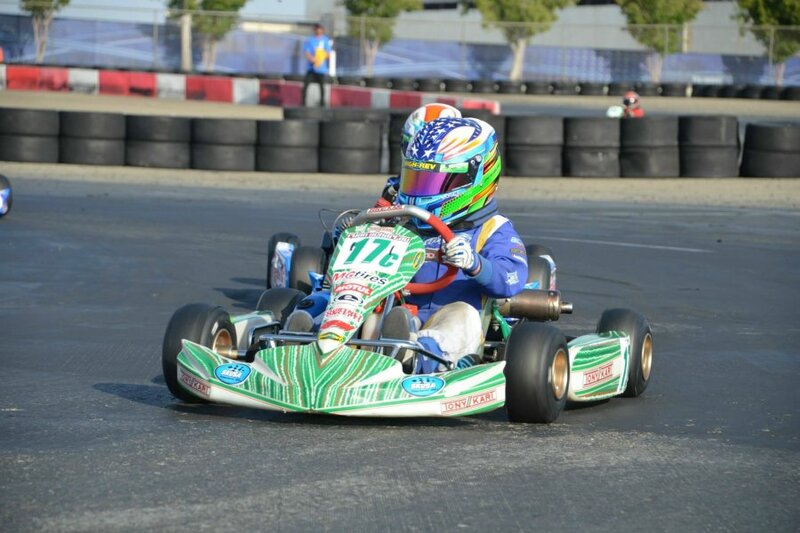 Erik Jackson made it a perfect score so far in main events for 2015 as he won a third straight in CRG of Southern California TaG Master, which welcomed its largest field of the season featuring 12 drivers. Jackson found himself second in the qualifying session to championship rival Tony Rossetti. The two battle for the Prefinal win, with Jackson scoring the top spot. Jackson left no question in the Final, leading all 14 laps to a 2.8-second advantage. Rossetti drove to the runner-up spot ahead of Roy Steele. The MMK PRD Senior Pilot category had another solid 14 driver roster for the day, and welcomed a third different winner on the season. Tyler ReviereVerninas set the pace in qualifying, beating out Miles Calvin by just over a tenth of a second. Calvin jumped out to the lead at the start of the Prefinal, and went on to take the win over Round One winner Ivan Urueta. The 14-lap main was all Calvin, leading each circuit but pressured the entire time. Urueta was a close second with Derek Esquibel and ReviereVerninas trailing. Round Two winner Alyssa Yauney finished fifth. Sheldon Andrews swept the day in HMS Honda Kid Kart class, scoring his third straight victory of the season. Andrews was clear of the field by over four tenths in qualifying, with Dane Idelson second quickest. Idelson challenge Andrews in the Prefinal, only to finish second to the point leader. The two battled again in the Final, with Andrews able to break away to a one-second advantage for his third victory of the season. Idelson drove to second, and after the order was changed following technical inspection, Brodey Vicars was promoted to third. The Smokin Fast Racing S3 Novice Stock Moto category welcomed its third different winner in as many races. Round One winner KC Cook set the pace in qualifying, edging out Dekota Fripp by 67 thousandths. Aaron Schmitt however surpassed both in the Prefinal for the race win. Schmitt and Cook ran 1-2 for the first 11 laps of the Final, until contact on the final lap put Schmitt on the sidelines and Cook well down the order. This gave Fripp the path to the checkered flag, his first. Andrew Murowatz and Trevor Sumner earned their best results of the season as well, placing second and third. Willy Musgrave returned to the top of the order in the MRC S4 Master Stock Moto class, sweeping the day. Musgrave was at the top of the result sheet from qualifying, to the Prefinal and Final, driving away to a nine-second advantage over Jason Chott and Troy Butts. Cruz Fiore earned his second straight in the Nash Motorsportz S5 Junior Stock Moto class. Fiore swept the day, with Prescott Campbell and Ricco Shlaimoun making up the podium. Billy Musgrave doubled up on the day for a third straight weekend, winning the TM Racing Open Shifter and 2Wild Karting S1 Pro Stock Moto classes. Musgrave swept the Open division over Slava Prikhodko and Willy Axton and scored a perfect day in S1 ahead of Matias Podboj. 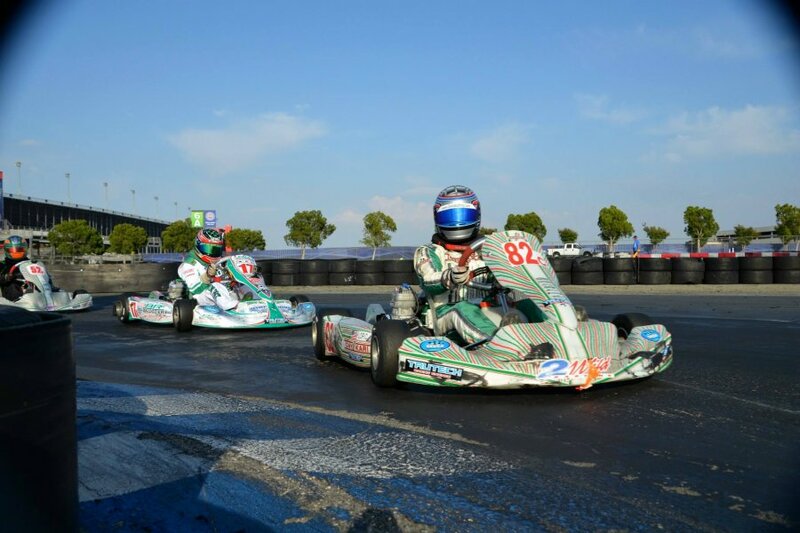 Chandler Campbell and Kalvin Chen earned their third straight wins in the PKS S2 Semi-Pro Stock Moto class the new Acceleration Kart Racing S4 Super Masters Stock Moto division. 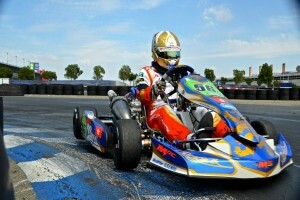 Campbell set the pace in S2 qualifying, only to see Vivek Tandon score the Prefinal win. Campbell grabbed the holeshot to begin the main event, leading all 14 laps ahead of Tandon with Joshua Young third. Chen set the pace all day in the S4 Super Masters category, at the top of the time sheets in qualifying and winning the Prefinal and Final. The victory was his third straight on the year, taking the checkered flag 11 seconds ahead of Sean Bond with Ron Rossetti placing third. Logan Calvin ended Connor Funk’s streak in the iKart West Senior PRD class, scoring victory at Round Three. Jacob Pope set the pace in qualifying, but it was Calvin emerging through for the win in the Prefinal and again in the Final. Bob Montgomery scored the win in his Phil Giebler Racing PRD Masters division debut. Montgomery swept the day with Scott Brown and Oscar Hafner completing the podium. The next event for the LAKC program will take place, scheduled for June 14 at the same CalSpeed facility. For more about the 2015 Los Angeles Karting Championship program, please visit LAKC.org and ‘Like’ them on Facebook.